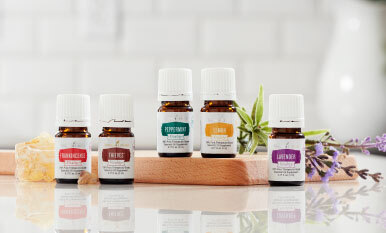 Start the day off right with a healthy breakfast infused with the fresh flavor of 100 percent pure essential oils! 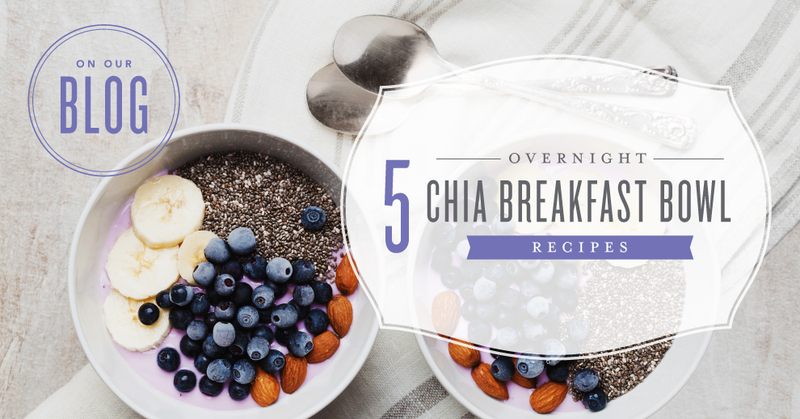 Instead of grabbing a sugary pastry or drink, fill up on real food with an overnight chia breakfast bowl. We’ve rounded up a handful of chia seed pudding recipes—from traditional to exotic—so you can create a perfect morning! The best part is that these breakfast bowls are simple and easy. Just prep a few ingredients the night before, let your creation sit in the fridge, and enjoy it the next morning! Be sure to prevent clumps by giving the chia seed pudding a good stir when you take it out to eat or stir it about 30–60 minutes after you put it in the fridge. Craving something tropical? We combined lime, coconut, and banana to create paradise in a bowl! In a small bowl or cup, mix yogurt, coconut almond milk, chia seeds, and Lime Vitality. Cover and let sit in the refrigerator overnight or for at least 4 hours. Add an extra spoonful of yogurt if needed. Add desired toppings and serve cold. Love NingXia Red®? You’ll love this chia bowl! 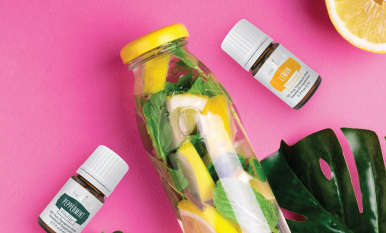 It’s infused with NingXia Red’s fresh, fruity flavor and everyday benefits to start your morning off right. In a small bowl or cup, mix NingXia Red, chia seeds, Tangerine Vitality, yogurt, and honey. Treat yourself first thing in the morning with this rich, indulgent, and chocolaty chia bowl! In a small bowl or cup, mix milk, chia seeds, cacao powder, and salt. Looking for a simple breakfast with sophisticated flavor? This blueberry lavender chia pudding is an elegant treat that doesn’t require hours of hard work. In a blender, blend milk, yogurt, and blueberries until smooth. 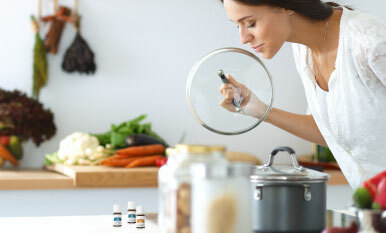 Pour mixture into a small bowl or cup and add Lavender Vitality, chia seeds, sweetener, and vanilla extract. Stir until mixed. This flavor combination classic is the apple of our eye! It’s just like waking up to Grandma’s homemade oatmeal but way easier. In a small bowl or cup, mix milk, chia seeds, maple syrup, Cinnamon Bark Vitality, and vanilla extract. Looking for more kitchen inspiration? Try our no-bake energy ball recipes or our dairy-free dark chocolate peppermint mousse! What’s your favorite fast breakfast using YL products? Tell us your tips in the comments!